In the science of Feng Shui, Yang energy is associated with the Sun and vibrant colours like reds, oranges and yellows. In a home, areas like the front yard, lobby and garden space are said to have Yang energy. The opposite of Yang energy is Yin which is the passive and negative energy which opposes Yang. Yin energy corresponds to the moon and cooler colours like blues and greens and most often dark sectors, toilets and unused spaces are said to have Yin energy. Creating a balance between the energies is the key to balancing a space and harmonising it. When the energies are balanced, one can actually sense it and feel it. Some homes feel good the minute you walk in, creating a relaxed, happier and harmonious feel. By adapting Feng Shui, an ancient metaphysical system based on the Chinese Five Element theory, one can use it to create harmony in the place of dwelling. Ancient Asian Palaces and many corporate headquarters share a guiding principle for orientation, design, decor and layout of their buildings based on Feng Shui, the Chinese art of placement. When the science of Vastu or Feng Shui is adapted, its not just the layout and design but one can even assess the soil quality and its intrinsic benefits. Often some buildings fail, few structurally due to failure of foundation and many due to absence of positive energies and bad quality of soil. Investigating the quality of the soil and then deciding on the foundation of the building is an essential part of Feng Shui and Vastu analysis. Hence, the science speaks of soil evaluation before any construction begins on a property as this also helps in designing the building and the foundation in accordance with the type of soil existing in the property. The flora and fauna of a space gives an insight on the quality of the energy existing in the piece of property. Looking at the plants, greenery, a fair amount of information can be retrieved and adjustments in accordance with the observations can be made. The first step is to assess the garden or yard. A sunny area with lots of colourful plants will be Yang dominate. A yin area will be shaded and have stagnant water, and cool coloured plants. Once the required corrections, layout and design are in place, the energy of the garden can also be enhanced and balanced to support the building and the occupants. Sound energy in garden is also beneficial, it could be Wind Chimes, bells or bamboo flutes are all acceptable instruments to use. Make sure they produce a sharp melodious sound versus a clang. 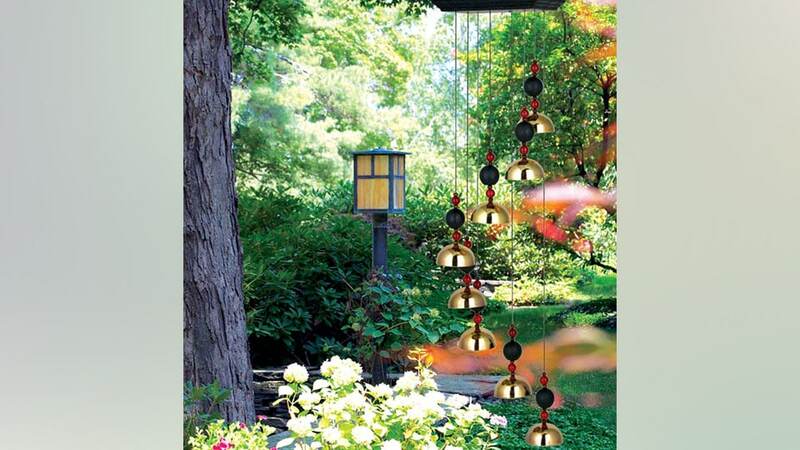 Wind Chimes and flutes need to be placed in a sheltered part of the garden. The science of metaphysics helps us to live in harmony with nature, creates a rhythm and balance in the building to ensure a qualitatively better life and makes the occupants live in synchronicity with the environment and the building.